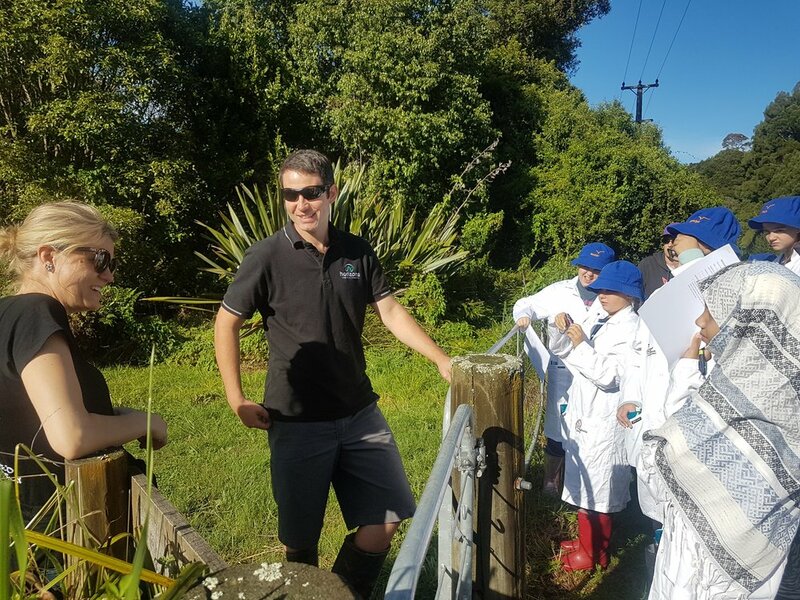 Year 7 and 8 rangatahi began their project with a focus on the Pohangina wetlands and Pohangina river at Raumai Reserve as well as Ashhurst wetlands and Manawatu river. Rangatahi observed and investigated the impact of these valuable wetlands led by Horizons Regional Council Ecology Scientist Mrs Daly, Freshwater scientist Mr Peterson and Dr Grant. Wetlands are highly threatened environments across the world; yet they are one of the most significant contributors to life. MFe Environmental reporting indicates that "Wetlands support unique biodiversity and provide important services. They clean water of nutrients and sediment, help dampen floods, provide habitat, and act as carbon sinks. They are also valued for their spiritual and cultural significance and as important sources of food and materials, such as flax. Draining them for agricultural and urban development has reduced their extent. Understanding this reduction provides insight into the loss of biodiversity and natural function". The importance of wetlands is equally emphasised by Department of Environment and Energy, Australia. "One of the most important benefits that wetlands provide is their capacity to maintain and improve water quality. Whilst the Ashhurst wetlands is a natural wetland in which a range of natural plants and native animals thrive; Gordon and Anna Pilone manage the wetlands in Pohangina which showcases a rich diversity of plants and animals some of which were introduced over 10 years ago. Wetlands act as filtering systems, removing sediment, nutrients and pollutants from water. The capacity of wetlands to maintain and improve water quality is under threat because human activity and extreme weather conditions have had a significant impact on water flows, nutrient balance and biodiversity". According to Department of Conservation 'wetland ecosystems are characteristic of New Zealand; their presence is associated with the fact that New Zealand experiences a lot of storms, earthquakes and ice - factors that contribute to the formation of wetlands. This linkage of physical processes with physical features is reflected in the hydrological classes typical of New Zealand wetlands - rivers and bogs from frequent rain; lakes from glaciation and volcanic actions; swamps from the deposition of erosion products by rivers and the sea; estuaries and lagoons from tidal flooding of old Pleistocene valleys. Interestingly the day students investigated Ashhurst wetlands, the water levels were low and the river dry. According to Waikato Regional council reports 'maintaining water levels is one of the most important tasks in managing a wetland. Wetlands are a harsh and stressful environment for most plants. Those that grow in wetlands have had to adapt to growing in wet soils. For example, kahikatea and pukatea buttress their roots so they are stable in wet soils, while many smaller plants have spongy tissues in their leaves that act as a reservoir and passageway for oxygen to move down to the roots in wet, oxygen-deprived soils'. 'As water levels drop, different plants germinate and grow on the exposed mud. The soil chemistry changes as it is exposed to the air, encouraging dry land plants. Some wetland plants, such as Carex, set seed in summer when water levels are low. Often these seeds can stay viable in the soil for years even if the wetland is dry' (Greater wellington regional council, Understanding the 'wet' in wetlands). The PTC Trust is a registered Trust with Charities NZ that was set up in 2008. The heart of the PTC trust is to create a distinctive platform that twins the pursuits of science with the awareness of culture, language and value of indigenous people.